Resurfacing road works. Market Street, Hebden Bridge. 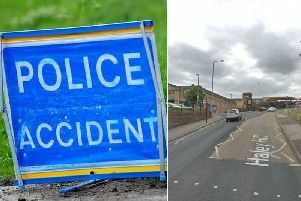 Letters have been sent to Hebden Bridge residents warning them of major roadworks through the town centre, which could lead to overnight closures on A646 Burnley Road/Market Street. The works will be carried out on Market Street, Bridge Lanes and Heptonstall Road during October and November. Calderdale Council has said the work is essential as the condition of the roads has deterioated over time. Carolyn Walton, Calderdale Council’s highways and engineering manager, said: “Works will involve resurfacing, new markings and new ironwork. “This will improve road safety and provide smoother roads to travel on. “The use of up to date surfacing materials will help make the roads more durable and reduce noise from travelling vehicles. “To allow the works to take place safely and effectively, temporary road closures will be in place. “To minimise disruption, the closures will be during evenings and early mornings. “As we are still planning the works with our contractor, the exact timings will be confirmed at a later date. “We will be liaising with residents and businesses throughout the works.